This coupon is valid until Sunday, November 6, 2016. 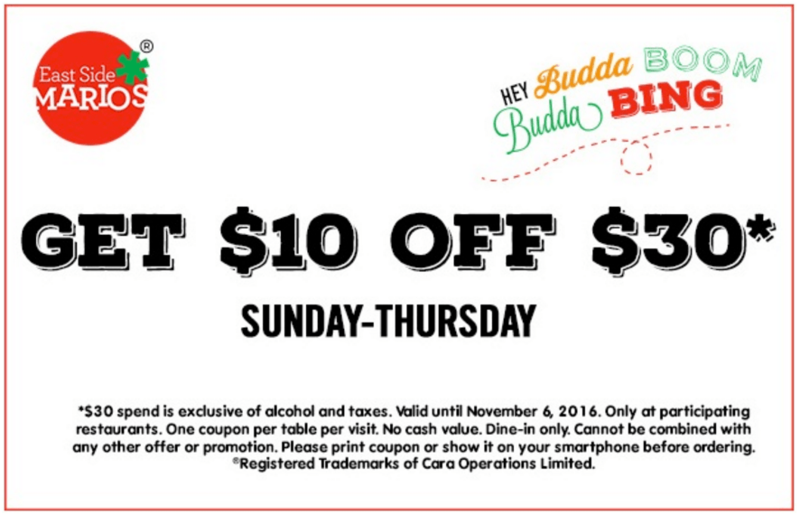 This coupon is valid at participating restaurants between Sunday to Thursday. The $30 spend is exclusive of alcohol and taxes. One coupon per table. Print or show the coupon on your phone to redeem.